Utah’s path to statehood was not an easy one. 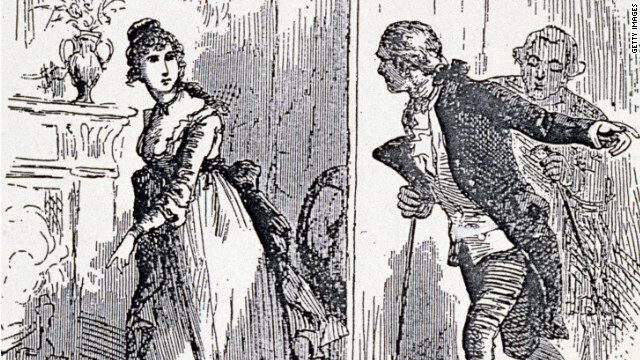 Because of the Church of Jesus Christ of Latter-day Saints’ early acceptance of polygamy (the practice of having multiple wives that was outlawed in the United States), there was much skepticism of Mormons in the 1800s. 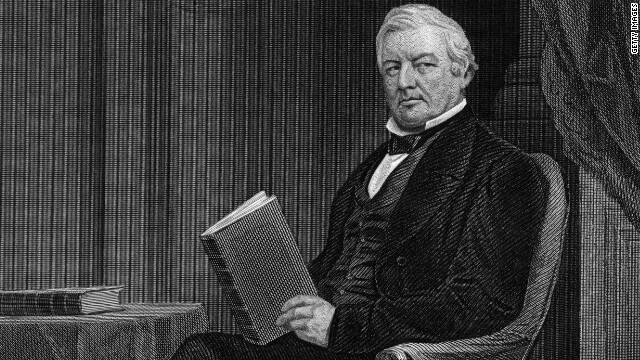 As a way to assert control over the territory, President Millard Fillmore named Brigham Young, a leader in the Mormon’s migration west, as governor of the territory on this day in 1850 in the hopes that Young would be the federal government’s representative. Young’s governorship was, in effect, a compromise for statehood. Initially, Young asked Congress to create the “State of Deseret” – a sweeping area that would have included nearly all of Nevada, as well as parts of Arizona, Colorado and California. As part of the Compromise of 1850 – a compilation of bills that hoped to diffuse tensions between slave- and non-slave states – the Utah territory was established. The Willie that Carter is referring to is none other than Willie Nelson, the famed “outlaw” country singer known for his unique sound and his affinity for marijuana. Although Carter was known as a buttoned-up president - during the 1976 campaign, he regularly highlighted his Southern Baptist roots and his role as a Sunday school teacher - the former governor of Georgia was also known to escape the pressures of the presidency by listening to Willie Nelson. 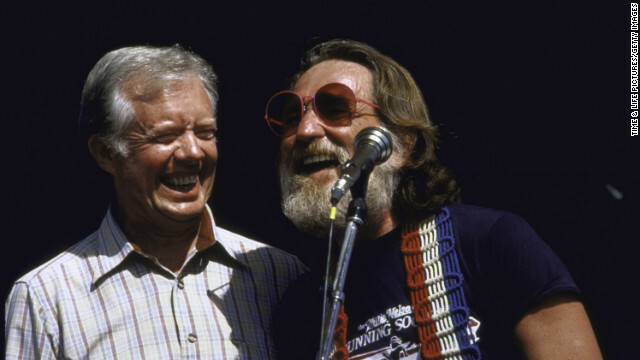 And on September 13, 1980, the president’s love for the music of the “redheaded stranger” was fulfilled when Nelson played for Carter at the White House. On September 8, 1974, President Gerald Ford told the American people that he had pardoned his predecessor, former President Richard Nixon. 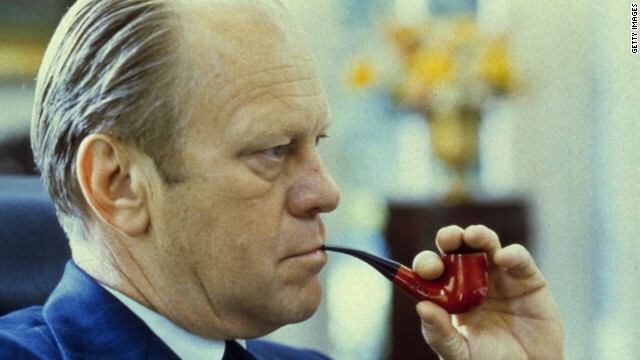 Washington (CNN) – Sitting in the Oval Office, President Gerald Ford delivered the speech that many Americans hoped he never would give. On September 8, 1974, Ford told the American people that he had pardoned his predecessor, President Richard Nixon, “for all offenses against the United States which he, Richard Nixon, has committed or may have committed or taken part in" during his presidency. Ford made the case that his decision was part of an effort to begin healing the wounds caused by the Watergate saga, a political scandal involving the break-in at the Democratic National Committee and the subsequent coverup by the Nixon White House. 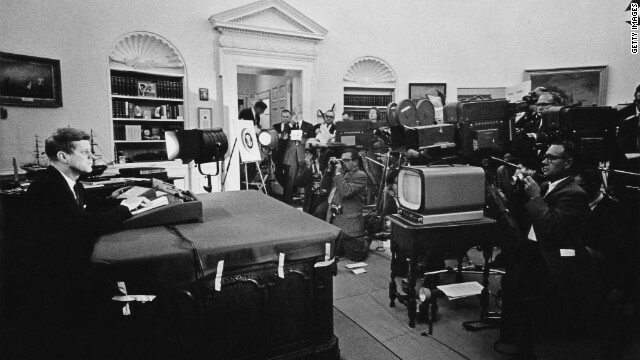 President John F. Kennedy announces on television the strategic blockade of Cuba and warns the Soviet Union about missile sanctions during the Cuban missile crisis. “If These Walls Could Talk” is a weekly look back at the storied history of the White House – from Washington to Obama, from the absurd to the historic. Washington (CNN) – It took the United States hours to receive and decode Soviet Premier Nikita Khrushchev’s 3,000-word détente message to the United States during the Cuban Missile Crisis in 1962. During those tense, incommunicado hours, plans were put into motion that many speculate would have catapulted the United States and a nuclear Soviet Union into all out war. The USSR’s installment of weapons into Cuba was an eye opening experience for the United States’ military apparatus. Not only did it show how close two superpowers could come to a breaking point, but it proved that direct, codeless communication was essential to peace. Washington (CNN) – When Dolley Madison was fleeing the White House with George Washington's portrait among her few precious keepsakes, she couldn't have known that her place as a legendary White House figure was being cemented in that moment. But that event, which happened this week in 1814, has done exactly that. To this day, presidents and politicos alike retell the story of Dolley Madison and the Washington portrait. With the British marching into Washington during the War of 1812, Dolley, wife of the then-fourth president of the United States, James Madison, decided that instead of retaining the first couple's personal belongings, she wanted to save the iconic full-length portrait of George Washington. While being pressured to leave, Dolley insisted the portrait be saved, frame broken and canvas rolled up before everyone abandoned the White House. Little did Dolley Madison know the portrait she had saved was actually a copy of the Gilbert Stuart original. Washington (CNN) – The two men locked in an intense campaign for the White House marked one of the rare days that neither has a campaign event by attending church services with their families on Sunday. 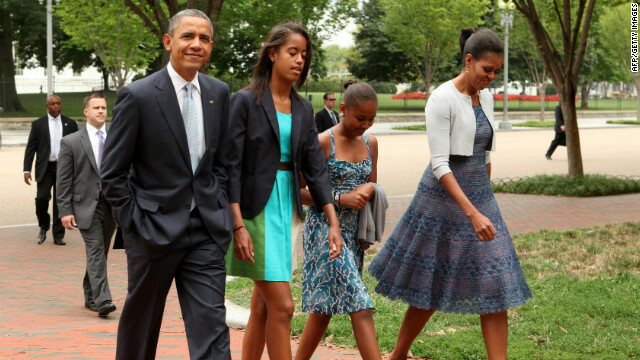 President Barack Obama, along with first lady Michelle Obama and their two daughters, Sasha and Malia, walked across Lafayette Square on an overcast Sunday in the nation's capital to attend mass at St. John's Episcopal Church. During the sermon, the Rev. Michael Angell spoke about what he called "a summer of violence." He mentioned recent shootings, including the movie theater shooting in Aurora, Colorado, that killed 12 people late last month and the shooting at a Sikh temple in Oak Creek, Wisconsin, that killed six people earlier this month. 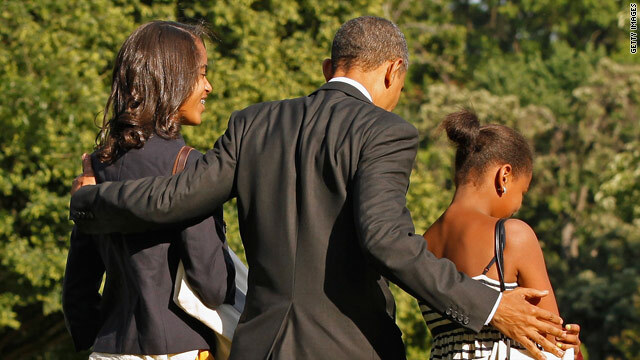 President Barack Obama used his daughter Sasha as an example of the success of Title IX, a law that prohibits discrimination of women in sports and education, in a Newsweek op-ed that honors its 40th anniversary. In an interview with PBS, Aaron Sorkin, the creator of the show, once said that his goal was purely to “captivate you for however long we've asked for your attention.” But in the lead up to “The Newsroom,” Sorkin’s newest show that is set to debut Sunday on HBO, some CNNers began to realize they were still captivated by the fictional portrayal of the building many of us cover on a daily basis, even though “The West Wing” went off the air six years ago.